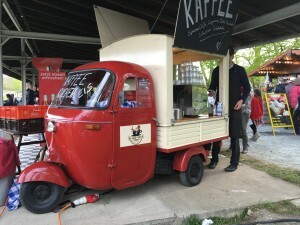 Spotted this cool little coffee cart in Leipzig Germany at the races. Strange thing is that these type of vehicles can be legally driven on public roads, strange. I have spotted cars with lawnmower engines on the roads here. Previous Previous post: Boulder RightSizing – a solution to the contentious issue! Next Next post: Chinese cars in Germany?